You have advertised jobs on your website, the Internet and various publications. Now you have an overwhelming pile of resumes on your desk; yet few, if any, meet your search criteria. Consider the time it takes to conduct your own search and the lost productivity without sufficient staff. Welcome to the challenges of hiring legal professionals in the 21st Century. Why can’t you find that “ideal” candidate? The answer is quite simple: top-performers rarely initiate their own search. Instead, they rely on reputable legal recruiters like CLS Legal Staffing to present them with new opportunities. 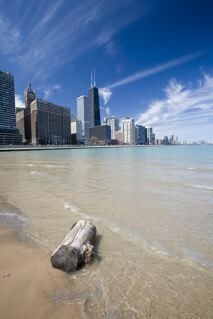 Chicago’s top law firms and Fortune 500 companies consistently choose CLS Legal Staffing to fill their staffing needs. There is no cost to compare our candidates with those generated by your own search. We typically work on a contingency basis, so no fee is due unless you hire one of our candidates. We are confident that we can successfully recruit Chicago’s top talent for your company or law firm. Give us the opportunity to prove why we are the best!